So you give your presentation. People smile and nod and say ‘that was nice’ and then… nothing. No sales, no signups, no feedback. 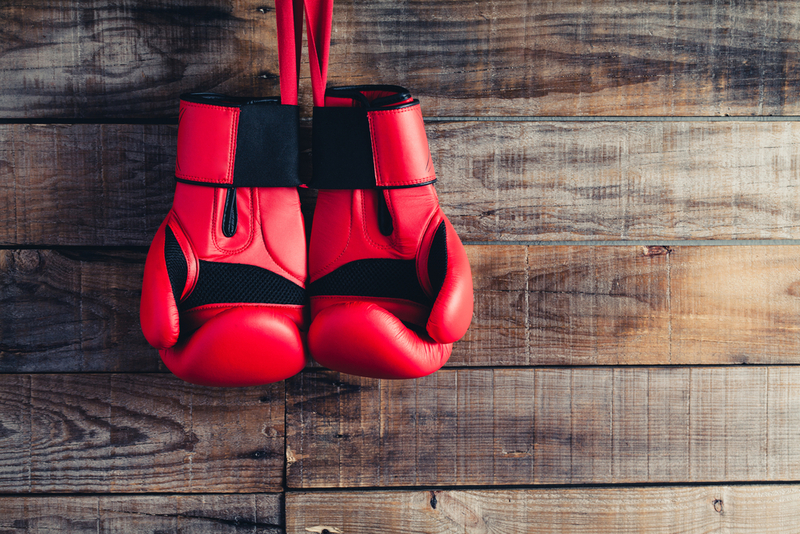 Try one of these 5 persuasive techniques and lay the smack down like Ali. Presentations getting a lacklustre response? Here are 5 blow-by-blow techniques from the fields of psychology, marketing, and copywriting to take your presentations to the next level. The AAB pattern is the technique of saying something (A), saying it again (A), then saying something different and contrasting (B). Her ideas are sound, her policies are sound, but her attitude is terrible. Human beings like patterns, and the rule of three is good for making statements funnier, more satisfying and effective. When that ‘B’ statement pops up at the end, it jars the rhythm and surprises the listener. It makes us pay closer attention to what's being said. But don't feel that you have to stick to three statements – the more ‘A’ statements you make, the more impact that final ‘B’ can have. I like his shoes, I like his trousers, I even like his haircut... but I hate his shirt. Creative visualisation is the technique of using your imagination to picture what you want to achieve in your life. It’s an immensely powerful tool, used by athletes like Muhammad Ali, celebrities like Jim Carrey and politicians like Arnold Schwarzenegger (yes, really). Whether we give a speech or only imagine doing so, some of the same brain pathways are activated. It's a bit like giving your brain a workout before a big race. When you repeatedly imagine performing a task, you also condition your neural pathways so that the action feels familiar when you go to perform it; it’s as if you’re carving a groove in your nervous system. This works great for practising your speech – but you can use it on your audience too. If you need them to complete a specific task, describe what you want them to do and have them imagine completing each step. By the time they come to complete the task in real life, they’ll have done it once already and it will feel much easier and more familiar. AIDA skips the formalities and launches straight into an attention grabbing opener. Once you have the audience’s Attention, pique their Interest by demonstrating the relevance of your idea. When they’re interested, increase their Desire to act by describing the impact it will have on their lives, by emphasising the scarcity of what you’re offering or by providing social proof of how good it is. Close by summarising the offer and showing your audience how easy it is to take Action. There's a version of this more suited for campaigners called ACCA, where the emphasis is more on raising awareness and inspiring action than making a sale. Often called the modes of persuasion, these categories refer to three distinct ways that you can appeal to your audience. Make sure your presentation has all three for maximum impact. Follow these guidelines for a unanimous decision from your audience. And good luck with your next presentation!